I have only recently started using a CNC machine and want to use it for making pens. However, I got distracted by one of the plugins in my CADCAM package (CAMBam) where there was a mysterious plugin called 'Height Map Generator'. This plugin could be used to create Lithophanes. These amazing pictures obtain their shading by having different thicknesses of translucent material to perform shading, and then are back lit. They were very popular as an art form in the late 1800's, when they were made from porcelain. They are still present in the form of pictures of people's heads in the bottom of fine porcelain tea cups and similar high quality china. The program can be downloaded below. The program, a readme file and source code are included in the zip file. The program is a Windows program, and is known to run on Windows XP and Windows 7 (32 & 64 bit versions). It should work in any 32 bit windows operating system. The program is a single file .exe file and writes a windows .ini file in the directory you put the programs into. The Borland C++ Builder 4 source code is included so that you can check for yourself that the program does nothing unpleasant to your computer. 24 Dec 2014: After comments, I have added an 'On Click' event to the units routine, so if it changes, all the currently entered values are multiplied by a scale factor to ensure they are in the new units scheme while retaining the same real world size. 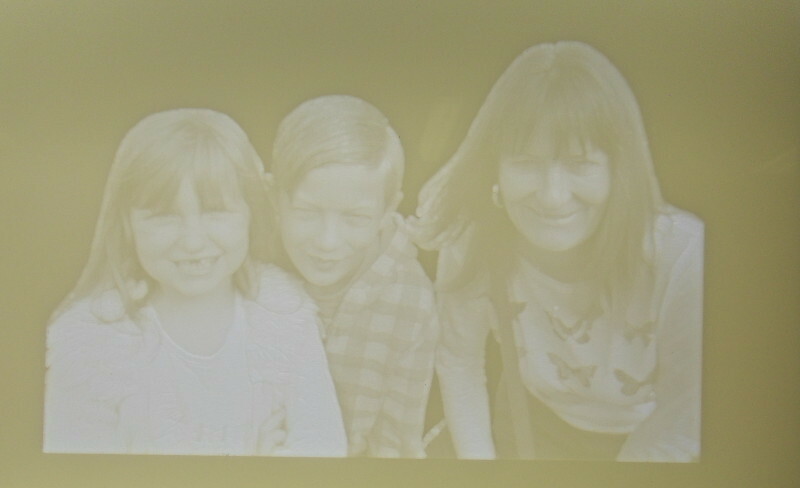 After a trial of the software in creating a lithophane, I should now recommend that you do NOT use .jpg files. The way a jpg file compresses images after editing for a lithophane means that around the edges of an image, the background may be given a colour other than black, and some spurious machining could occur. 15 Dec 2014: Added facility to Open .jpg/jpeg, .gif and .emf files in addition to .bmp files. Also enabled multipass machining and the facility to select units (inches or mm).